Rediff.com » Business » Should you invest in this public sector ETF? Given that the ETF has given exceptional returns over the past year, start small and buy more in a staggered manner, experts tell Sanjay Kumar Singh. With the second further fund offer (FFO) of the Central Public Sector Enterprises exchange traded fund that opened on Tuesday, seems like yet another opportunity for retail investors to participate in the ongoing stock market boom. And the reasons for investing are strong as well. This ETF has given investors a stellar return of 44.57 per cent over the past one year. For the uninitiated, the Nifty CPSE index, on which this ETF is based, consists of 10 stocks where the government is the major promoter (more than 55 per cent stake). Large-cap stocks, which have a consistent record of bonus payment, form a large part of this index. The key sectors included are energy and financials (77.14 per cent and 11.32 per cent allocation respectively, according to Value Research). However, when markets are running up so fast, investors do need to be a little more cautious. One risk in this ETF is that it has a concentrated portfolio. There are only 10 stocks in it. The biggest five stocks constitute 79.98 per cent of the portfolio while the top three sectors constitute 93.45 per cent (according to data from Value research). The CPSE index is currently trading at a P/E ratio of 11.51 against 23.59 for the Nifty 50. The index's dividend yield is 3.80 per cent compared to 1.22 per cent for Nifty 50. So, the index has not become expensive compared to the benchmark index. However, it has moved up compared to its level of 9.49 at the same time a year ago (source: NSE website). Both these factors create some risks. "Stocks in the energy, metals and mining, and petroleum sector saw a considerable run-up last year, so none of the stocks in the index is very cheap currently. If the top stocks correct, the impact on the portfolio could be big," says Vidya Bala, head of research, Fundsindia.com. Some investors may, however, consider taking exposure to this ETF. "Investors who don't have exposure to public sector stocks in their portfolios may consider this ETF. Conservative investors who prefer to invest in government-backed stocks may also opt for it," says Arvind Rao, financial planner and founder, Arvind Rao & Associates. With the Nifty touching an all-time high recently, some degree of caution is, however, called for. "If you wish to invest Rs 100 in the ETF, put Rs35-40 now to avail of the discount. You should then stagger your purchases to take advantage of a correction that may set in later," says Rao. Investors entering into this fund should treat it more as a thematic fund that gives you exposure primarily to public sector energy-related stocks. Investments in all thematic and sector funds put together should not exceed 15 per cent of your equity portfolio. Investors in the FFO will get an upfront discount of 3.5 per cent (lower than the 5 per cent discount offered in the last tranche). 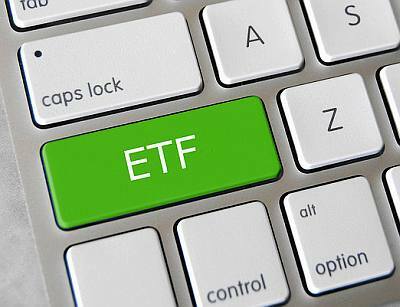 The ETF has given investors a compounded annual return of 12.71 per cent since inception. Its expense ratio is also low at 7 basis points. In the current FFO, the portion reserved for anchor investors was subscribed 7.7 times on the first day. The issue size for this FFO is Rs 2,500 crore of which 30 per cent allocation is for anchor investors and the balance is for retail investors and qualified institutional buyers (like retirement funds). How expensive is your mutual fund?